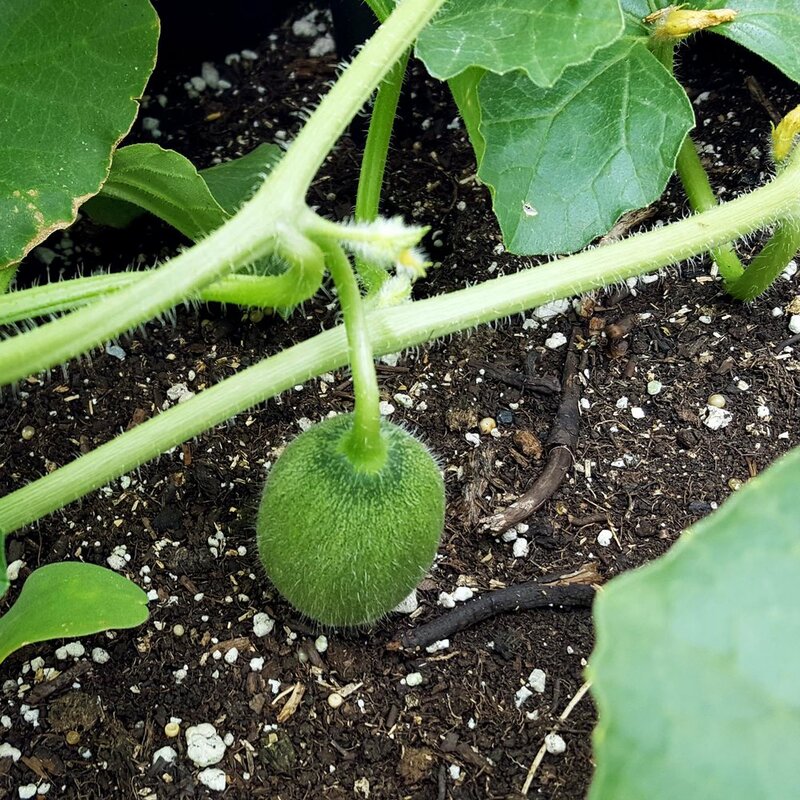 It's now mid-August, the height of summer for some, and a great time of year to grow your own produce! This August so far has been a good month on the Roof with a lot of big ticket summer vegetables. Let's dive right in! Along with the usual suspects of green and yellow wax beans, my much anticipated Chinese long bean experiment was a huge success. If anyone is looking to change things up with a new vegetable, I suggest you try long beans. Your vegetable life will change for the better, I promise! Their flavor is a blend of green beans/asparagus and they are just as versatile as regular wax beans. Now for a little spice! It's been chile time for the past two weeks for me. 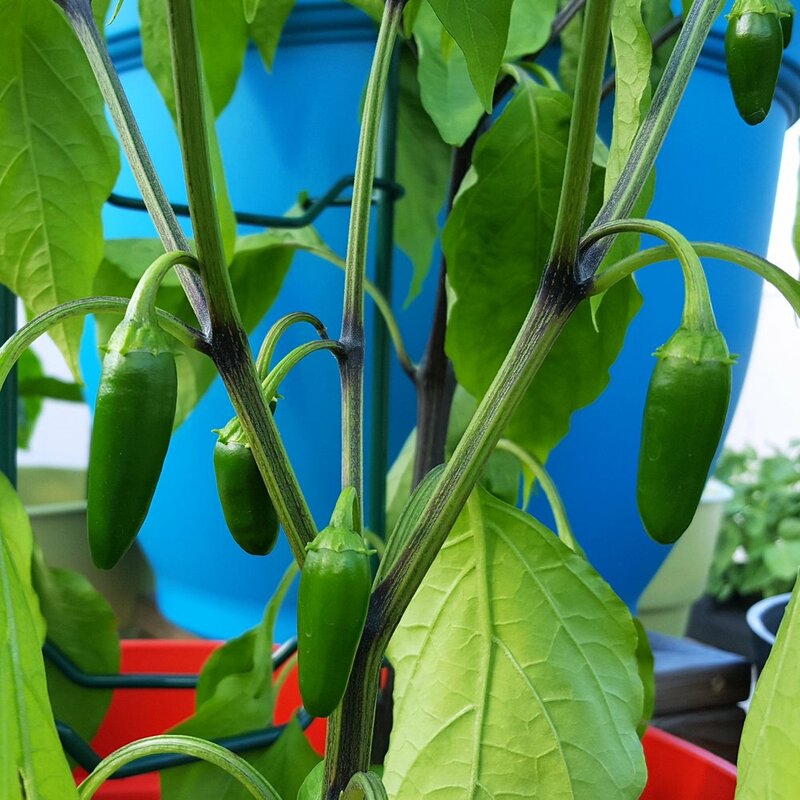 It's been a great season so far for jalapeno, poblano, and pasilla chiles. There have been more fresh chiles that I can use at a normal pace that I have begun a chile-drying operation to preserve the bounty of the Roof. That has turned out to be a good thing and now I'll have dry pasillas, ancho chiles (poblano in the non-dried form), and chipotles (jalapeno in non-dried form). I'm even going to be so bold as to try my hand at making my own chipotles in adobo sauce, like the stuff you get canned in the ethnic aisle of the grocery store. And finally, anyone that has grown what I'm about to mention knows that this is a special time of year for you guessed it, TOMATOES!!! The upside-down planters have been a game changer and something that I'm going to adopt every time I grow tomatoes. All four varieties have gone beyond my expectations. Each container has at least 4 dozen individual tomatoes. That's right, I said 4 dozen each. Pretty soon here it will be tomato sauce and canning time, possible followed by a pasta with tomato sauce binge. I already know how to make fresh pasta, so I just need to work on the cheese part of that equation. Somehow my neighbors, and more importantly the city of Chicago, might take issue with a bovine presence on or around the property... maybe the next house...? As the end of summer slowly approaches, I've been furiously planting and preparing for a hopefully bountiful fall harvest. Lots of root vegetables, squash, and leafy greens to come. More about this in September! Fall is personally my favorite time of year. Thanks once again for everyones continued support and interest. Talk to you all soon! Chef on the Roof in Wisconsin!